Worlds Best Bus Driver. Mug is available in both 11 oz. and 15 oz. Why drink out of an ordinary mug when a custom printed mug is so much cooler? This ceramic mug is lead free, microwave safe and FDA approved. Image is printed on both sides. Hand washing is recommended. 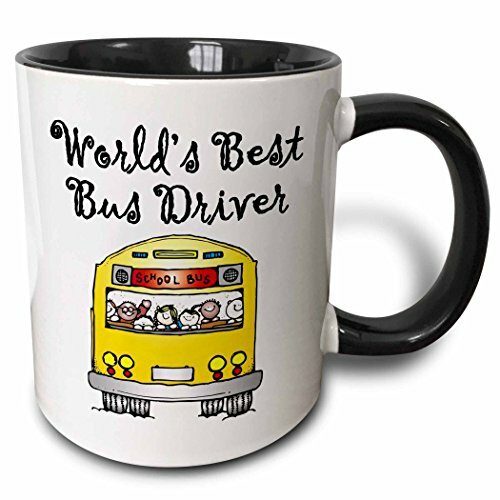 Artisan Owl designed "World's Best Bus Driver" mug. A large 15 oz and full wrap printing. Safe for microwave and dishwasher with a large, easy to grip handle. 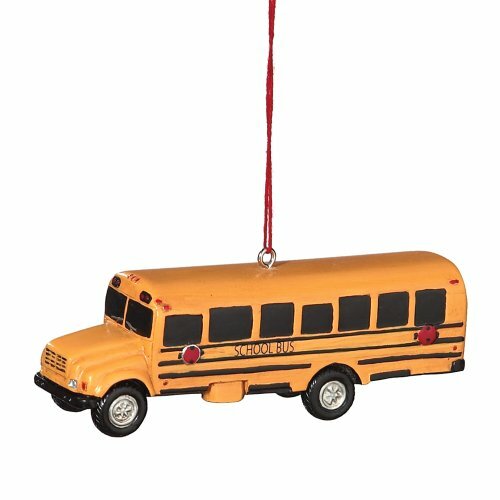 School Bus Resin Hanging Christmas Ornament - Size 3.75 in. 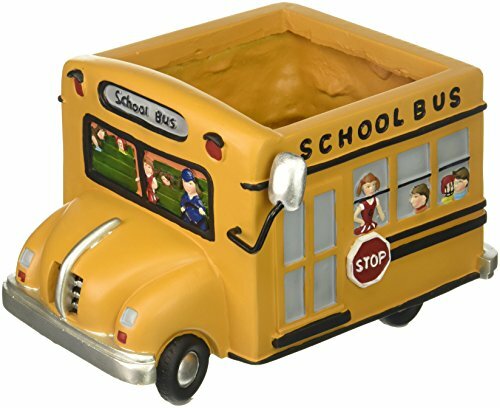 Very fun yellow school bus ornament not only is a wonderful Christmas Ornament but also may displayed on any flat surface, desk etc. Ready to hang from Christmas tree. Measures approximately 3.75" x 1.25" x 1". Made of high quality resin material. This stylish memory charm is for all the proud bus drivers out there! This bracelet features a 7 1/2 inch braided chain with a decorative lobster claw heart clasp and a high polish .925 sterling silver finish. The charm features a .7 inch round charm which is also coated with a sterling silver finish and is accented with 1.5 carats of pave set cubic zirconia stones. Lookout for the matching necklace, earrings, and memory charm! This product is proudly made in the U.S.A. This school bus isn't dropping off children at school, instead, it is delivering the seasonings for your next meal! This hand crafted model school bus is not only a sculptural work of art, but does double duty as a decorative salt and pepper shaker set. 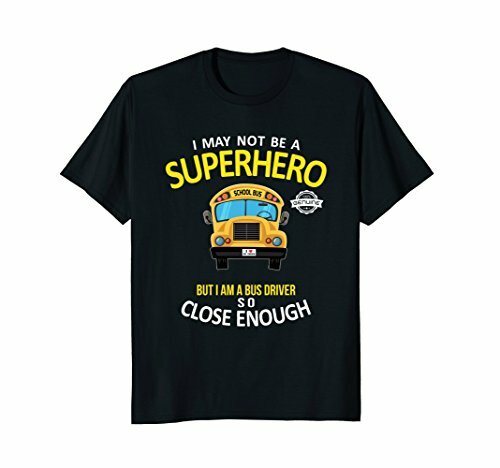 Makes a great gift idea for a bus driver or teacher. 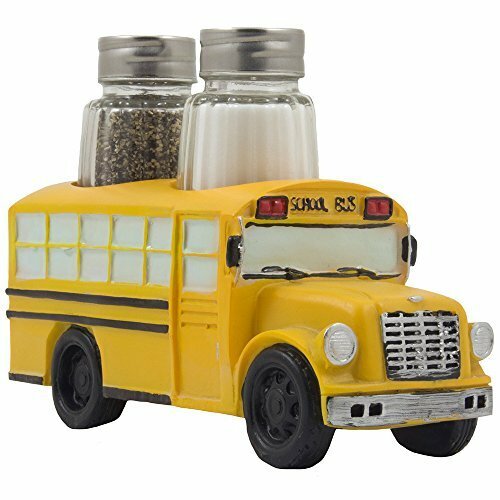 Three piece set includes one school bus figurine display holder and two glass salt & pepper shakers. 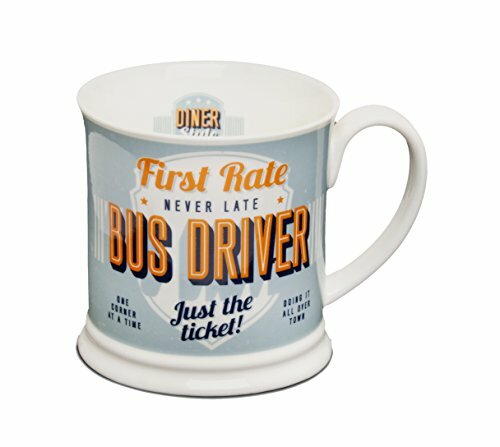 Our latest Diner Mug collection creates a truly retro feel styled in the classic American diner design with characteristics from 1950's fonts and pretty color ways. 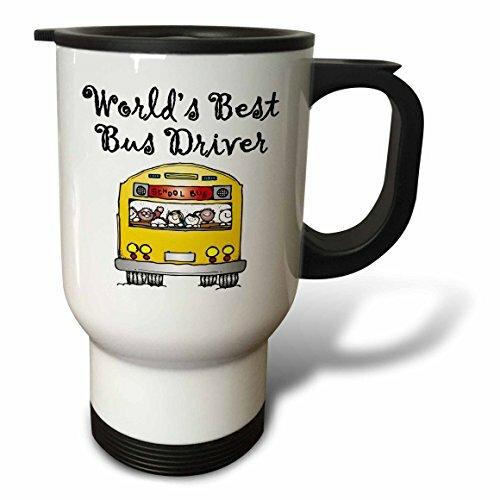 With over 70 titles focusing on occupations and lifestyles, as well as the always popular friends, relatives, and loved ones, these attractive new mugs make the perfect gift, over 62 styles to choose from Diner Mugs - Bus Driver. 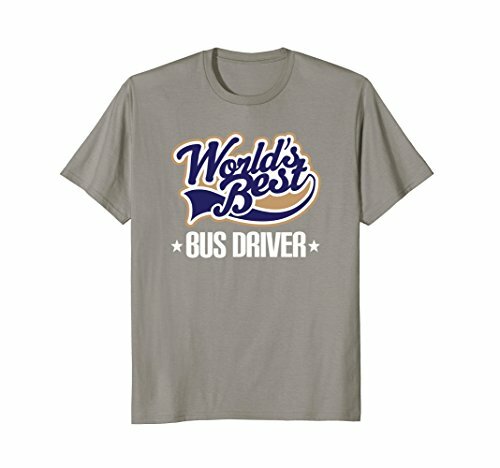 Worlds best bus driver tee shirt is a great way to show appreciation to a school bus driver at a retirement party or for the holidays. Navy blue and white job logo. Official Homewise Shopper t-shirt. Worlds best bus driver. Travel mug is a great way to take your favorite hot or cold drink along. With a tapered bottom this stylish 14oz mug fits in a standard cup holder and features an easy-grip handle with thumb rest, slide opening lid and slanted drinking surface. This travel mug is made of stainless steel. Not microwave safe, hand washing is recommended. 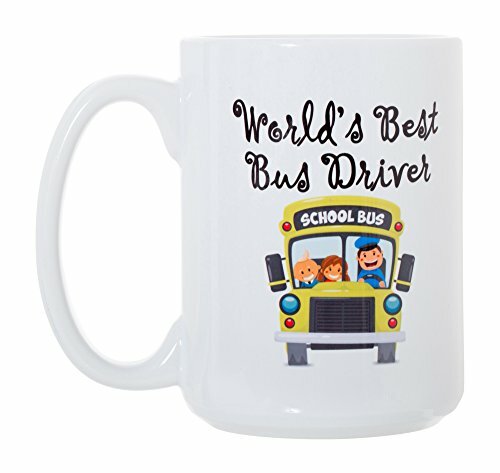 "Inexpensive "Thank You Gifts" for Teachers and Bus drivers"
Compare prices on Gift For Bus Driver at ShoppinGent.com – use promo codes and coupons for best offers and deals. Start smart buying with ShoppinGent.com right now and choose your golden price on every purchase.